The internet has huge potential for small businesses, enabling them to reach new customers located far beyond their home town. 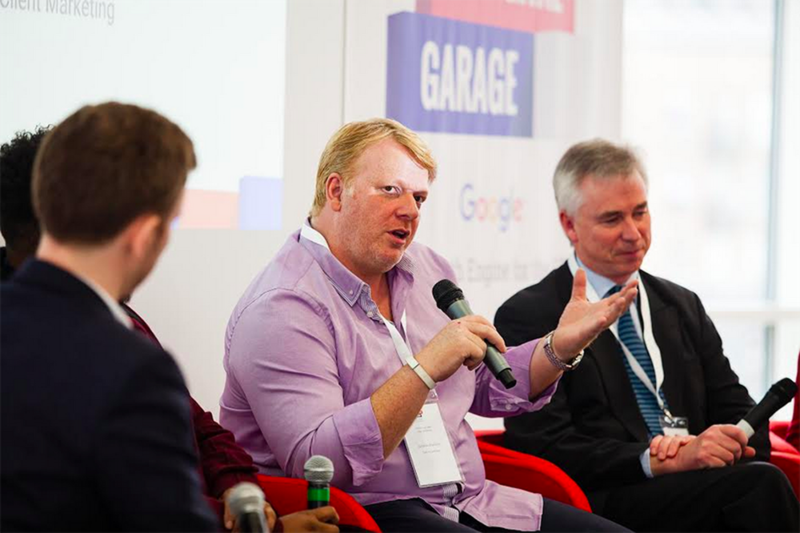 Realizing that potential requires digital skills, and at Google, we’re committed to helping businesses acquire those skills through programs like the Digital Garage, which offers free, face-to-face training with local digital experts in five cities across the UK. But small businesses have countless demands on their time. Every hour away from the coalface costs revenue, so a decision to attend external training needs to pay off. So we designed the Digital Garage programme to be laser-focused on the needs of local small businesses - and to be as practical and easily implemented as possible. We also commissioned IPPR North, a British think tank, to survey participants and find out how we were doing. Digital Garage attendees like Jonathon Blackburn help bring these statistics to life. He set up his building and property maintenance company The HouseMan in 2012, and was keen to use the web to reach new customers and expand his business. At the Digital Garage he received training on online advertising and within ten weeks was quoting for five times as much work and had taken on two new members of staff to meet the demand. The Digital Garage program doesn’t just benefit entrepreneurs - it also has an effect on the wider local community. In both Leeds and Birmingham, we worked together with local government and business leaders to find easily accessible venues for our Digital Garages that would drive awareness of the scheme. We also wanted to try and create a ripple effect in the community, attracting other businesses to the same location, as we did at Birmingham city library - enabling the library to extend its opening hours, to the benefit of the entire community. In December 2015, we opened our third Digital Garage, in Manchester, and 2016 will see us open more across the UK. IPPR North will continue to evaluate our performance, helping us further increase the impact this project can make to the small businesses, entrepreneurs and future workers of the UK.